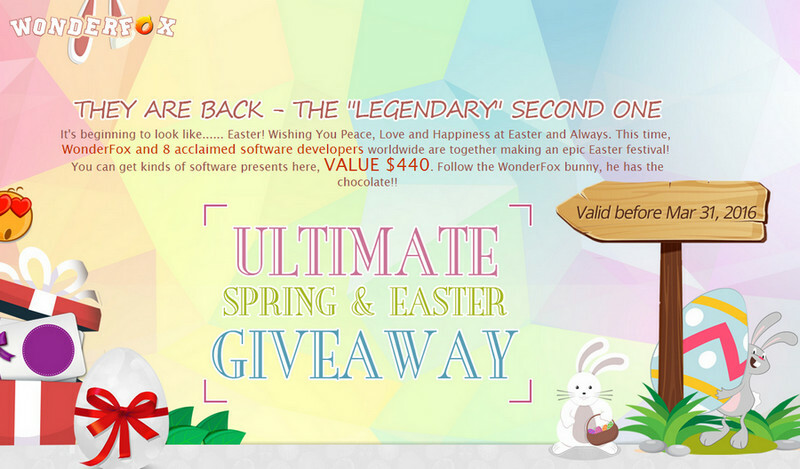 WonderFox teams up 8 well-known PC software vendors to present the ultimate Easter&Spring gifts until Mar 31, 2016. Download link and license key is in word doc. Some software doesn't need license key. It's already activated after install. In addition, some software needs you to register or subscribe to get the license key.